Whenever we start to discuss any housing project or looks to invest in it, the first option that hits the mind is its starting blocks and available options in them. 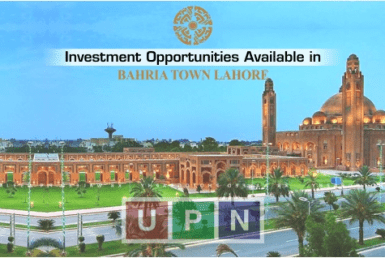 Same like that, Sector B of Bahria Town Lahore holds a very high position and value among the entire luxury housing community for the fabulous options of 1 Kanal & 2 Kanal residential plots available in it. Comprised of many blocks with multiple options for residency and investment, it is considered a hot-favorite sector among buyers. It’s a peaceful place of Bahria Town that is completely developed and providing a luxury, comfortable lifestyle to its residents. It’s a wonderfully designed sector where the plots cuttings of different categories are available in it. But this is an amazing sector where the demand for bigger sizes of plots ie. 1 Kanal & 2 Kanal residential plots are equally high as that of the small size of residential plots. So let’s check out some attractive features, such as location, prices and other details of these plots available in Sector B. 1 Kanal plots cuttings are available in Ali Block, Bahria Springs, Ghouri Block, Shaheen Block, Takbeer Block, & Usman Block. However, 2 Kanal residential plots are only available in only Shaheen Block & Ghouri Block of Bahria Town. A detailed description is provided below. Sector B is ideally located at the ideal location of this housing project that makes it the hot-favorite one for luxurious residence. This sector is basically located at the difference of some kilometers from the Main Entrance of Bahria Town Lahore on the Canal Road. After making an entrance on the 150 ft. Main Boulevard of Bahria Town, Sector B is the very first sector. 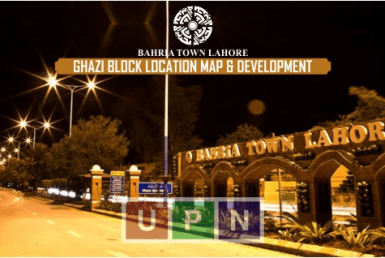 It is the one and only sector of Bahria Town that is completely developed and the percentage of inhabitation in it is more than any other sector. In accordance with the latest updates, approx. 80 % to 85% area of Sector B is already populated. Fully developed, available possession and limited numbers of 1 Kanal & 2 Kanal residential plots are available in the different blocks of Sector B. Buyers and investors attract more to Sector B for the mind-blowing attractions and facilities available in it. That is the biggest reason that the demand for bigger sizes of plots cuttings is equal to the residential plots of smaller categories. 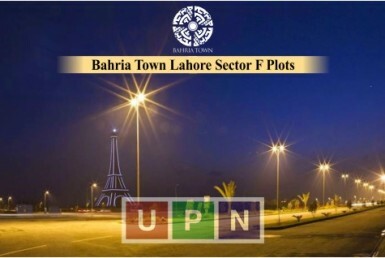 The prices of the plots are reasonable as all the up-to-date features of Bahria Town are waiting for you in Sector B. The latest prices of these plots are mentioned below. 1 Kanal plot cuttings in Ali Block are available at the price range of 1.60 crores to 1.85 crores. Same category of 1 Kanal Plots in Ghouri Block & Shaheen Block will be available to at the price bracket of 1.40 crores to 1.80 crores. 1 Kanal residential plots in Takbeer Block is available at the starting price of 1.35 crores to 1.70 crores. The updated prices of 1 Kanal plots in Usman Block is high as compared to other block. You can buy the limited numbers of these plots at the starting price of 1.70 crores. However, the plots cuttings of 2 Kanal plots are available in Shaheen Block & Ghouri Block. These will be available to you at the price range of 3.50 crores and onwards.